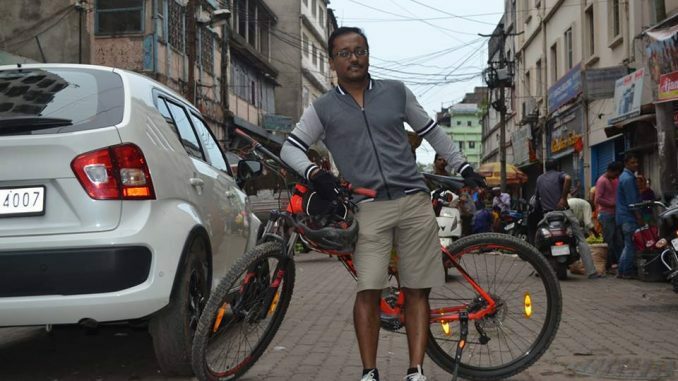 Arshel Akhter, the newly-elected Bicycle Mayor of Guwahati, discovered his love for cycling as he explored his city on two wheels. Along with a healthy lifestyle, the software developer-turned-banker-turned-stocks investor found that with cycling came a supportive and active community of enthusiasts from across all professions and ages. Now his mission is to expand this community to include not just hobbyists but people across all walks of life as he works to invigorate cycling in his city. Global movements towards sustainable mobility have found various avenues to further the cause of safe, eco-friendly alternatives to motorised transport. The concept of a “Bicycle Mayor”, an individual appointed to promote the cause of cycling, has been embraced by several cities worldwide. A bicycle mayor liaises with local governments, authorities, civil society and the community to improve the cycling culture of a city while also advocating for better infrastructure and policy that encourages more people to take to cycling. The Bicycle Mayor program is run by the Dutch NGO ByCS, with a mission to get 50% of the population to commute by bicycles by the year 2030. Bengaluru will soon elect its first ever bicycle mayor to join the likes of Cape Town, Keene, Sao Paulo, Amsterdam, Sydney, Rio de Janeiro, Mexico City, Beirut, Vadodara and Guwahati. India’s first bicycle mayor from Vadodara, Nikita Lalwani, is an avid cyclist who took on the challenge of increasing the number of cyclists in her city. She is working towards making cycling the primary mode of transport as opposed to just a leisure activity. She feels India still has a very long way to go. “The movement has just begun. Just having the necessary infrastructure is not the solution as we need to come up with a plan parallely to promote cycling.” She believes focusing on smaller cities can stop them from growing chaotically like a Mumbai or Delhi. 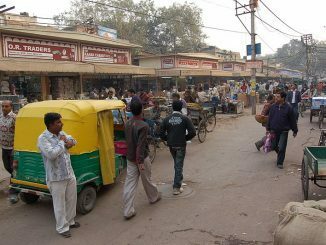 Figures from the Census of India 2011 show that nearly 45% of Indian households own bicycles. But there are several factors that inhibit their widespread use. The lack of dedicated bicycle lanes, bicycle-hostile conditions on roads and transportation policies with an increased focus on cars as opposed to non-motorised vehicles has made cycling a less than attractive proposition. A study conducted by IIT Delhi in 2013 that compares the share of bicycle use across Delhi, Patna, Chennai, Bangalore, Ahmedabad, Jaipur and Kanpur from the 1980s to 2010s has revealed that the modal share of bicycle use has declined in six out of the seven cities. Delhi, Bengaluru, Jaipur and Pune were found to have seen a sharp decline with only Delhi and Bengaluru showing modest signs of increase in modal share of bicycles after 2005. The lack of cycling lanes or tracks has been found to be a major deterrent in people taking to cycling in India. Even the city of Pune which as per government records has cycling lanes spanning 132 km, sees few cyclists due to lack of continuity in lanes, missing links, encroachments and poor surface quality according to a survey conducted by a city-based organisation Parisar. The theme is common for many Indian cities as a result of which there is an increased threat of cycling deaths. Statistics from Ministry of Road Transport and Highways shows that 2016 saw 2585 cyclists perish from road accidents across India. But all is not bleak. Over the last few years several cities have seen efforts that focus on the improvement of cycling infrastructure and promotion of cycling as an environment-friendly alternative to existing motorised transport options. In Delhi, the Metro Rail Corporation launched a public bike-sharing system that has grown to over 30 stands and provides last-mile connectivity to riders of the Delhi Metro. The Bruhat Bengaluru Mahanagara Palike (BBMP) in Bengaluru has plans in the pipeline to introduce 6000 bicycles as part of the bike-sharing drive spread across the city. The concept has been embraced by the city of Bhopal, with its automated bike-sharing system consisting of 500 imported bicycles and 50 stations in the city. Mysuru was an early adopter of bike-sharing with its “Trin Trin – Pedal with Pride” initiative. The smartcard-based system has fleet of 450 bicycles with 48 docking stations. In Jharkhand, capital Ranchi is set to debut it’s bike-sharing system with 1200 bicycles by July this year. As voiced by Nikita Lalwani, merely getting the infrastructure in place would not automatically translate into more riders taking to cycling. This sentiment was echoed by Cape Town bicycle mayor Lebogang Mokwena. Her term as bicycle mayor has seen the launch of Learn2Cycle, a programme aimed at teaching cycling to the residents of the city. With lessons for teenage girls and those seeking to make lifestyle changes, she hopes to nudge more people into switching to cycling. With cities bursting at the seams, a move towards reducing congestion, pollution and accidents through getting more cyclists on the road is the ideal solution. A study conducted by the Boston Consulting Group in January 2018 across Delhi, Mumbai, Bengaluru and Kolkata revealed that on an average the residents in these cities spent 1.5 hours more than their Asian counterparts in traffic congestion. The loss of productivity from this time is estimated to be around Rs 1.47 lakh crore annually. A bicycle mayor, as a non-political volunteer, is ideally placed to catalyse change in the communities they are involved in. With an ear on the ground and a channel of communication with the authorities, the bicycle mayors can help shape policy in the right direction by bringing together the views of various stakeholders. In just under a year of being elected bicycle mayor, Nikita Lalwani’s initiative Cycling Cities organised a bicycle rally with participants from across the city demanding a cycling constitution to protect cyclists and enshrine their rights. Arshel has plans to reach out to schools, colleges, government and corporate offices in Guwahati to encourage cycling. He views winning young people over as an integral part of growing the community of cyclists in the city. His plan two-pronged, while he urges more people to cycle, he also wants institutions to provide the necessary infrastructure such as docking sheds. Bicycle mayors have taken on the mantle of change agents across the world, working to remedy attitudes, policy and culture that has deterred cycling from growing as a viable means of transportation. Indian cities battling a variety of mobility crises that take a toll on people and the environment will benefit immensely from drawing on the expertise and enthusiasm of bicycle mayors to effect tangible, positive change. Citizen Matters is the media partner for the Bengaluru Bicycle Mayor initiative. 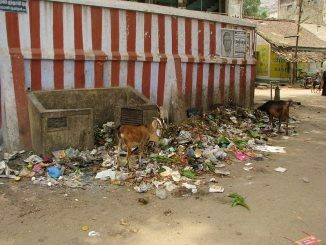 Why India’s clean city rankings need a serious rethink! The top ranked cities in the Swachh Survekshan 2017 undertaken by the MoUD do not segregate, process or dispose of their waste scientifically. In the first part of an in-depth study, Navya P K finds that the survey criteria are in conflict with the government’s own SWM policy! 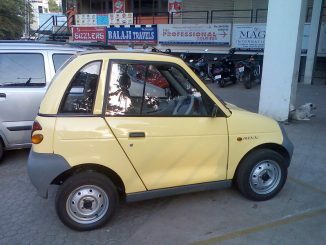 Will Indian city roads see only electric vehicles by 2030? While the government has set ambitious targets, several challenges need to be analysed and overcome before EVs become the norm, say researchers from Bengaluru think tank CSTEP.